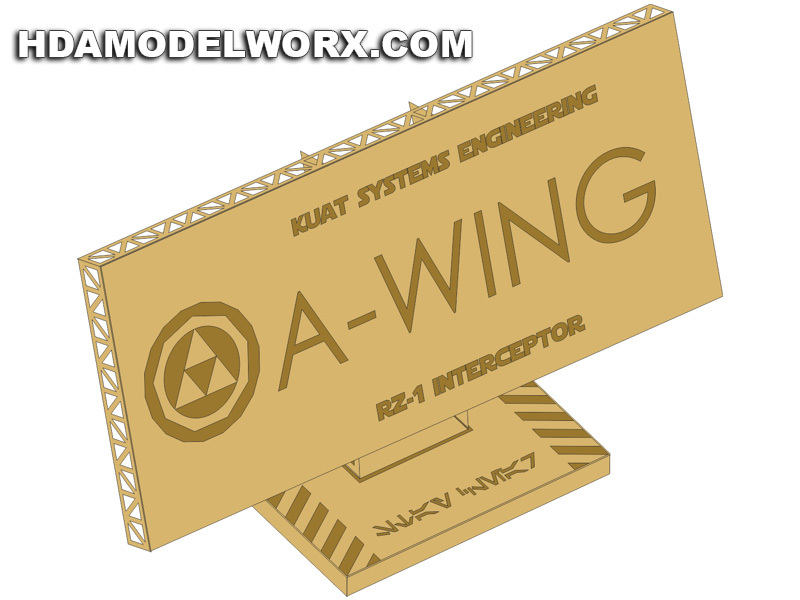 This Photo-etch set contains two etches which make up a base plaque/label for your A-WING Model kit!. The one is designed as the raised plaque section and the other the actual etched base which the raised section rests on. Together they make a great name plate to on your model base. The label can be installed on the basement provided in a model kit or on your own base. Designed to work with the Bandai model kit, but works for other model kit versions as well.